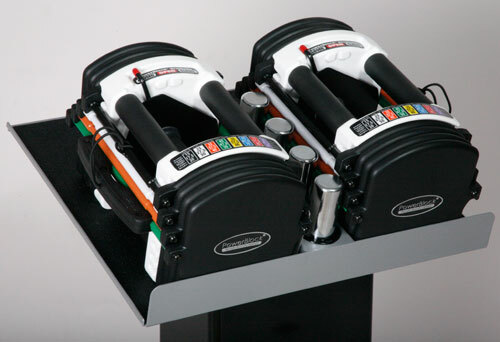 The PowerBlock U-90 Stage III Kit will expand the U-90 Stage II Set from 90 lbs per hand to 125lb per hand. Coming Soon. 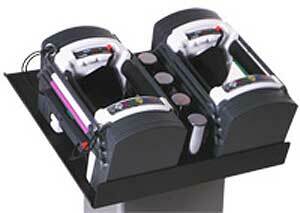 The PowerBlock U-90 Stage III Kit will expand the U-90 Stage II Set from 90 lbs per hand to 125lb per hand. Pro’s: Small footprint, portable + my wife is happy! 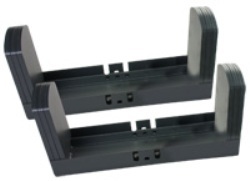 Quick adjustment Durable (much better than SelecTechs) Upgradable with stage 2 to total 90 lbs per hand Quiet Won’t scratch floor Con’s: -Price -Limited Micro-adjustability. Taking out the adder weights in handles is slow and incompatible with supersets/P90. The pin works great but limits you to 10lb increments. Final word: If you need fast 5 lb changes, get the U50. 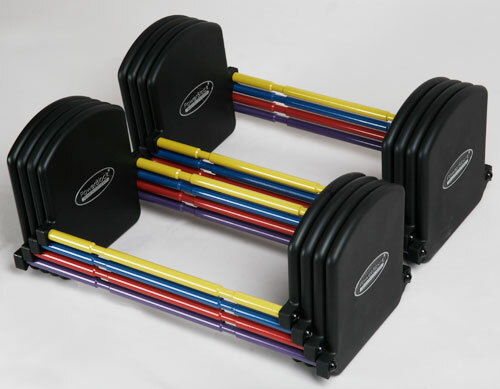 If you can tolerate ‘coarser’ weight changes (and compensate with reps), get the U90 as you’ll probably add more weight later for bench/squat/shrugs. About me: 150 lbs, young family, had a power rack with barbell/weights but no time to use it, and my wife hated how big it was. Sold the rack (now have dip stand, chin bar, and Bosu ball as bench). I initially disliked the 10 lb weight increments (time-cruched workout), but am happy with the tradeoff now and will purchase Stage 2 shortly. Best feature: I can workout anywhere in the house/back yard! BONUS!